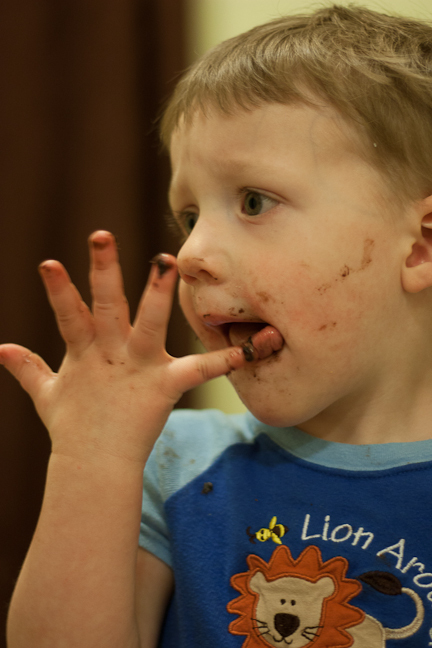 I just had to share a few more photos from the brownie-pocket experience. 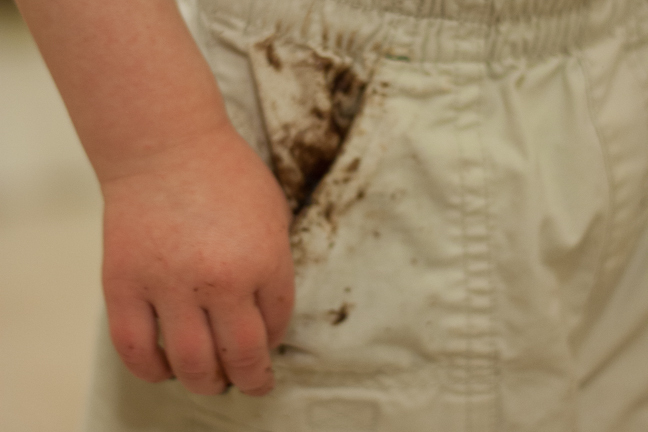 And *thankfully* the pants came clean with just a little scrubbing. Oh, that boy makes me laugh – I love the way his little brain ticks. It would have been worth losing a pair of pants if need be. Not the best photo – but taken the same day so I’m using it. 🙂 I’ll be back in a few days with the answer. All the bunnies are adorable! The one in the middle with all the brown squiggles – I was told it was chocolate. A bunny covered in chocolate. Brilliant. 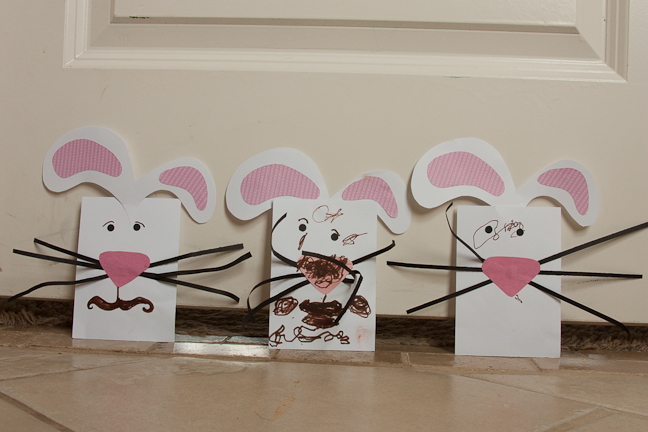 Ok…I’m guessing stylin bunny number 1 with cute mustache is Caleb’s with help from Mom… : ) Bunny covered in chocolate sounds like a brilliant Drewby idea and bunny #3 is Katey Belle’s? Love you guys!